Wow! The book sounds very interesting! 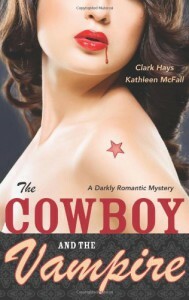 A very unique combination - a cowboy and a vampire - which could only result in a great novel and a good romance between the two characters. It sounds so different from all the vampire books that are coming out...It's a must read and I will surely do so as soon as I can.